Tiger Woods is set to resume his 2019 tournament schedule at The Players Championship following a week off due to injury. It wasn’t much of a break for the 14-time major champion, who elected to forgo last week’s Arnold Palmer Invitational to recover from a neck strain, a blip on what had been a strong start to the season following a top 10 finish in the WGC-Mexico Championship. Woods will now aim to shake off injury concerns and improve on that performance at The Players at TPC Sawgrass in Ponte Vedra Beach, Fla.
Of course, Sawgrass, one of the most storied courses in golf, features the famous 17th hole, a par 3 surrounded almost exclusively by water. 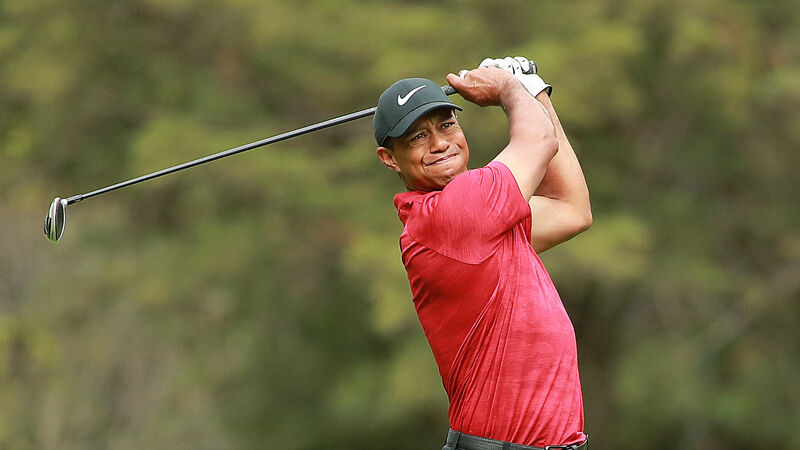 Often refered to as golf’s “fifth major,” The Players will be a pivotal tournament for Woods to show his health won’t be an issue as the Masters quickly approaches. Woods has won twice at Sawgrass, in 2001 and 2013. Woods finished tied for 11th place last year at The Players, his first entry into the tournament since 2015 due to injury. As Woods searches for a victory, it’s fitting that he will be paired up 2018 Players champion Webb Simpson for the first two rounds. Simpson will attempt to be the first golfer to ever repeat as Players champion. The polarizing Patrick Reed will round out the trio on Thursday and Friday. This will be the first time since 2007 that The Players will take place in March as part of the PGA Tour’s schedule changes for 2019. Here is everything to know about The Players Championshipin 2019, including how to watch live on TV and stream online, as well as updated tee times, odds, purse and past winners. You can also follow our full live leaderboard for hole-by-hold scoring updates from the tournament. The first two rounds of The Players will be televised exclusively on the Golf Channel. Coverage shifts to NBC for Rounds 3-4 on Saturday and Sunday. You can find a live stream of the tournament via NBC Sports Live or by signing up for fuboTV, which offers a free seven-day trial. Woods’ Sunday tee time will be at 9:45 a.m. ET. He will be paired with Matthew Fitzpatrick, who is also at 3 under for the tournament and has carded a 70-71-72 in the first three rounds. Who else is in The Players Championship field? A handful of previous Players champions, including Si Woo Kim, Jason Day and Rickie Fowler, will all be looking to add another trophy to their mantle as part of the field. All 50 of the top golfers in the world will take part in the tournament, including Arnold Palmer winner Francesco Molinari and WGC-Mexico champ Dustin Johnson, the No. 1 ranked golfer in the world. The loaded field will also include the likes of Justin Thomas, Jordan Spieth, Brooks Koepka and Justin Rose, who are all looking for their first players victory. Here are the tee times for Sunday’s four groups at the front of the pack. All four duos are scheduled to begin on the first hole within 30 minutes of each other in the afternoon. Jon Rahm is currently in the lead by one stroke. You can find a full list of Round 4 tee times here. Part of the reason why the Players is often considered to be the fifth major is because of its large purse. This year the purse is $12.5 million, which is “the biggest prize professional golf has ever seen for a single tournament.” The winner is expected to pocket a cool $2.25 million. The usual suspects have the best odds of taking home the win over the weekend, but don’t discount the value of Woods at +2200 and some of golf’s newer faces below him. You can find the complete list of betting odds via Odds Shark. While no golfer has ever repeated as Players champion, there has been an especially strong variety in recent winners. Prior to Woods, the last golfer to win multiple Players was Davis Love III in 2003. Greg Norman’s 24-under par in 1994 is the Sawgrass record, while Steve Elkington’s seven-stroke win in 1997 is the largest margin of victory.